Internet's Best Secrets: Surface RT Tablets to cost just $199? 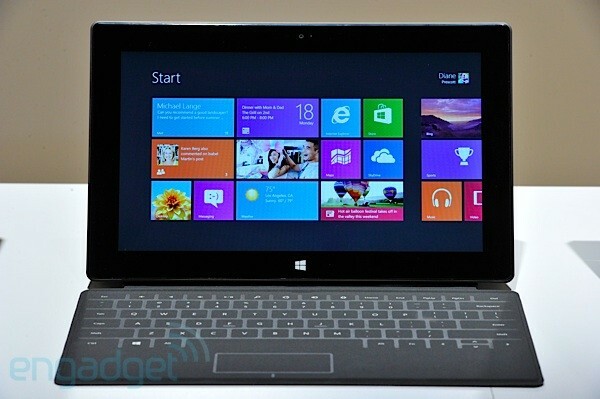 Surface RT Tablets to cost just $199? Much has been said about the new Microsoft Surface tablets and especially, how much its price will be a critical point that can either "make it" or "break it". Microsoft didn't disclose any prices (or dates) when it unveiled them for the first time, promising only that they would be "competitive priced". That didn't stop people from trying to guess how much that would translate to, and some news hinted at some higher than expected prices that would certainly make it very hard for these Surfaces to succeed. But now, we get a completely opposite report, that Surface RT tablet might cost just $199 when it comes to market on October 26th. A price that does a complete 180º turn over what was expected and that seems to be "too good to be true". Don't take me wrong, I sincerely wish that it might be - and Google/Asus have already proven that it is possible to build and market a high-quality tablet at $199 (the Nexus 7). But the key point here is that Microsoft has several partners that intend to sell similar Windows tablet... and might not be willing to cut back on their margins as much as MS seems to be willing to do on this surface. (Keep in mind we're talking about the Windows RT version - ARM based - not the more powerful Surface/Windows 8 with Intel CPUs). But one thing's for sure: if MS does come out with a $199 Surface tablet... things can begin to shift quite rapidly on the tablet arena... And we'd all have to gain from this heated competition.